We recently salvaged some factory carts. 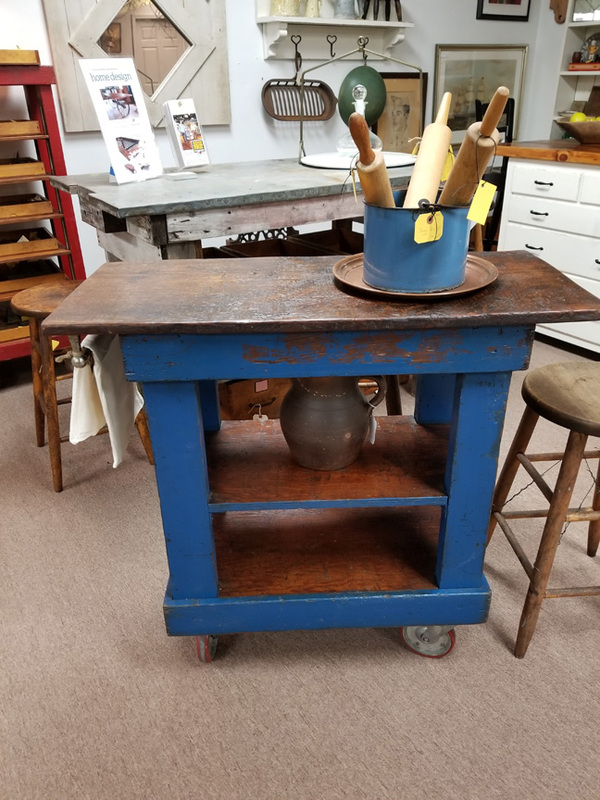 I turned this one into a wonderful roll-away kitchen island by cleaning, repairing and adding a rustic antique pine top and shelves made from reclaimed flooring from a circa 1780 local home. The top measures 36" x 16 1/2" x 34 1/2" high. Perfect for a small kitchen or anywhere in the home! You can see it in our booth V65 @fabfindsfoxboro / http://www.fabfindsfoxboro.com 34 School Street, Foxboro, MA, 02035.